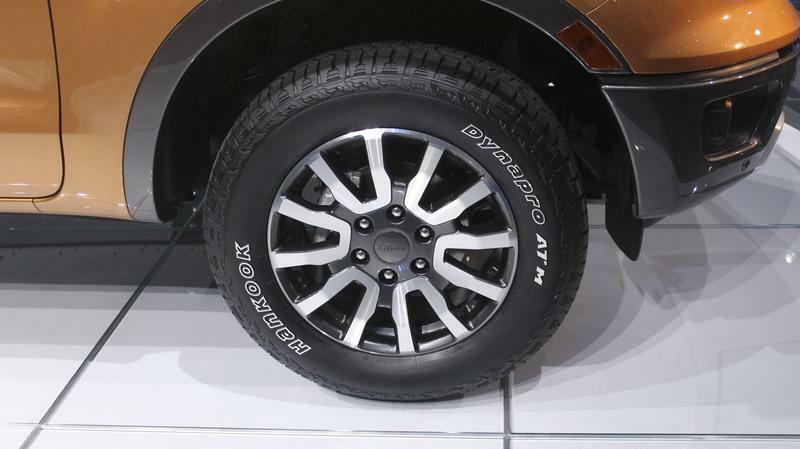 The Off-road packages increase ride-height for better clearance and offers up off-road tires wrapped around unique wheels. For the right price Ford will hook you up with an electronic locking rear differential too! Those include... Normal, Grass\Gravel\Snow, Mud and ruts, and Sand! The 2019 Ranger is offered in three trim packages that not only dictate its features, but also changes its exterior styling. The base XL will be for fleets, contractors, and those who value function over form. The mid-grade XLT offers more content, but doesn’t look like a work truck. Those wanting luxury mixed with their capability will go for the Lariat trim. It is surprising Ford isn’t offering a Limited or Platinum trim to compete with the GMC Canyon Denali. 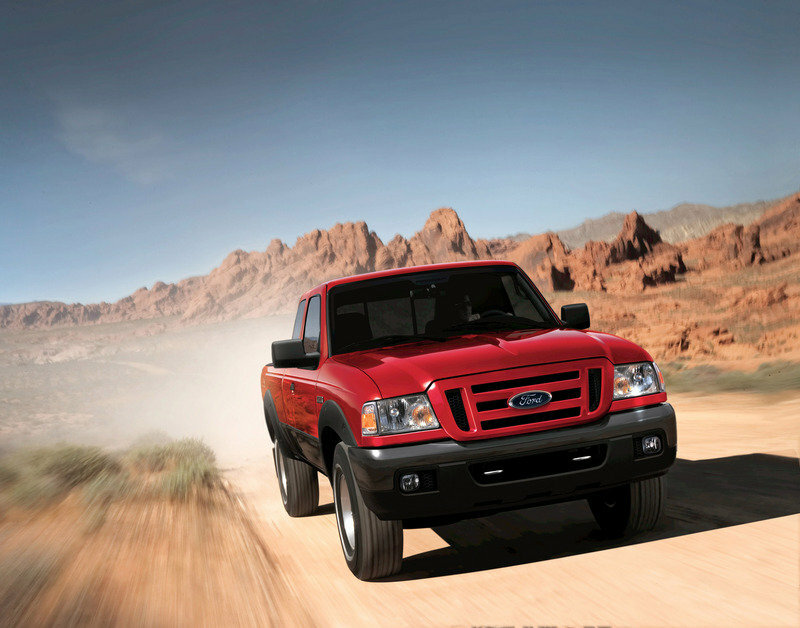 The Ranger also offers two appearance packages: the Sport and Chrome appearance packages. Those fond of off-roading will like the FX Packages, too. They offers more ground clearance, off-road tires wrapped on unique wheels, underbody skid plates, a front bumper skid plate, and an off-road tuned suspension. 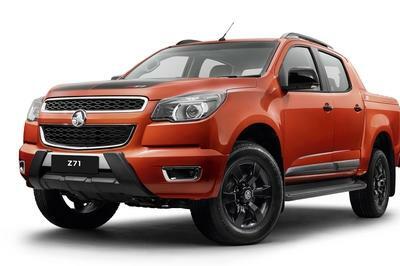 The package is offered as the FX2 for rear-wheel drive trucks and as the FX4 for four-wheel drive models. The Ranger comes in the SuperCab and SuperCrew sizes. In regular, non-Ford speak, that means an extended cab and crew cab. The wheelbase remains unchanged and the cargo bed changes size depending on cab length. 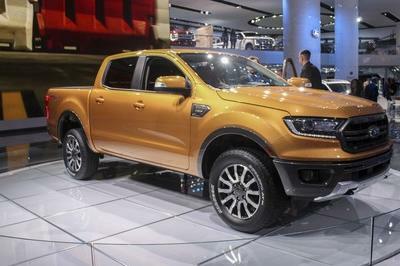 Overall, the 2019 Ranger looks really slick, though it’s basically identical to the T6 Ranger pickup Ford has been selling overseas for years. Most Americans probably won’t care, though. One major difference is the bumpers. 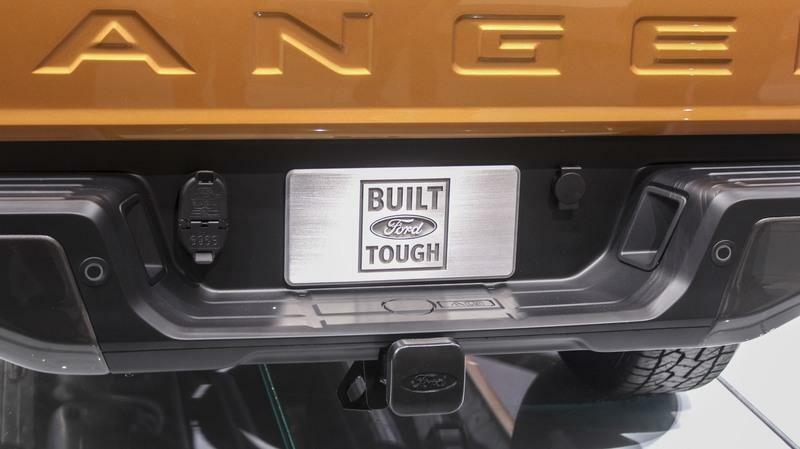 The U.S.-spec Ranger has steel bumpers that are mounted to the frame, giving the truck a tougher demeanor. Best of all, Ford has promised a Raptor version of the Ranger in the near future. That truck will have even more off-road prowess thanks to added ground clearance, BFGoodrich All-Terrain T/A KO2 tires, Fox Racing shock absorbers, and some Raptor-specific bodywork. 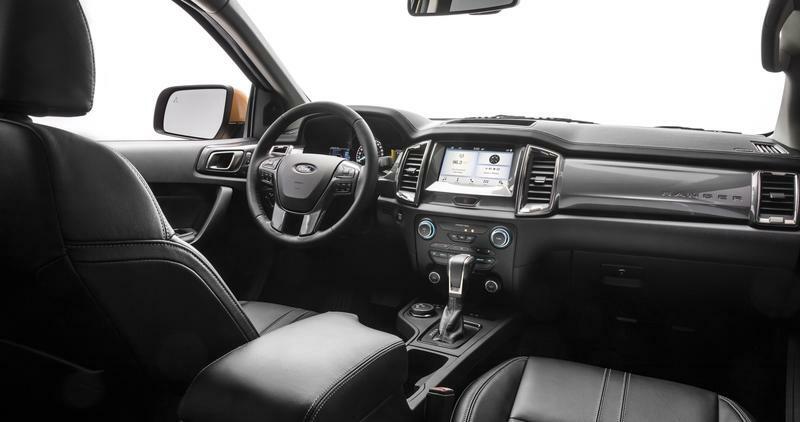 Like the exterior, the 2019 Ranger’s interior doesn’t differ too much from the global T6 Ranger. That’s fine, though, as the dash has a fairly modern design similar to the Explorer SUV and the SuperCrew model offers plenty of room for four real adults. Five can squeeze in during a pinch. All models come with front bucket seats and its shifter mounted in the center console. The interior is mostly defined by the trim levels. Ford didn’t divulge too many packaging and feature lists, so it’s hard to say what amenities come with what trim level and what options are available. 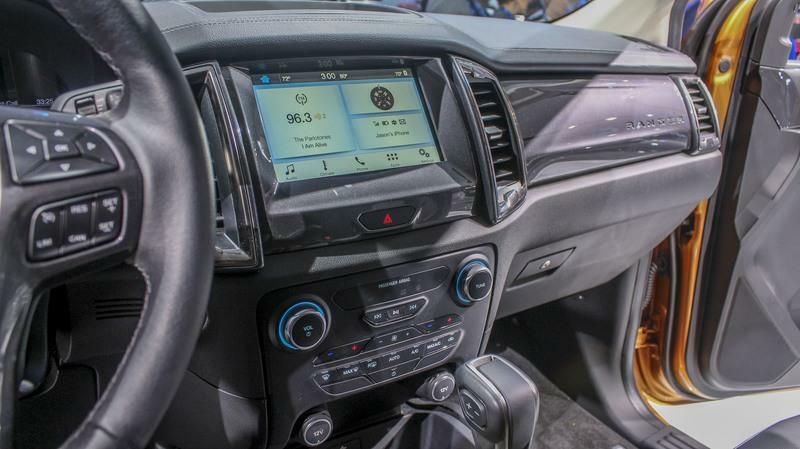 We do know the 8.0-inch Sync 3 infotainment system is available and includes Apple CarPlay, Android Auto, and the new Ford+Alexa connectivity though Amazon’s new partnership with Ford. Another nifty feature is FordPass – a 4G LTE wireless service with Wi-Fi connectivity for up to 10 devices. A slew of USB ports line the cabin and an available household plug is there to charge using a standard three-prong plug. An optional B&O PLAY sound system can be had, too. The 2019 Ranger comes with a single engine – at least for now. The 2019 Ranger comes with a single engine – at least for now. It’s a 2.3-liter EcoBoost four-cylinder similar to the Mustang’s. Ford hasn’t announced its power specs, but in the Mustang, the engine makes 310 horsepower and 320 pound-feet of torque. 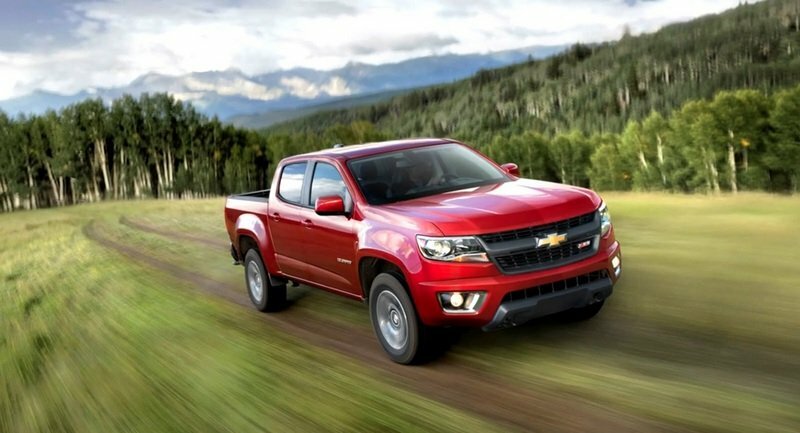 Those numbers would do well in the Ranger considering the Chevy Colorado’s 3.6-liter V-6 only makes 308 horsepower and 275 pound-feet of torque. Mated to the 2.3-liter EcoBoost is Ford’s new 10-speed automatic transmission. We are hoping Ford brings more engine options to the Ranger, especially a turbodiesel. Cross-shoppers might have a hard time getting past the Ford’s lack of cylinders compared to the Chevy and Toyota. However, Ford seems confident. and offers up off-road tires wrapped around unique wheels. 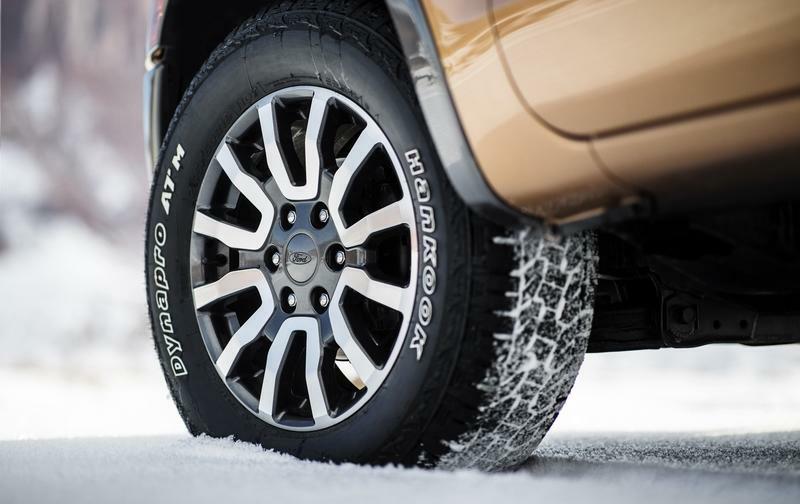 Every Ranger comes with four drive modes: Normal; Grass/Gravel/Snow; Mud and Ruts, and Sand. Interestingly, Thai-Tang’s statement is the only mention of a four-cylinder in Ranger’s entire press release. There is no direct mention of the 2.3-liter EcoBoost being a four-cylinder. Despite the engine’s size, Ford is working to make the most of it. Every Ranger comes with four drive modes. They include Normal; Grass/Gravel/Snow; Mud and Ruts, and Sand. In addition to the drive modes, Ford is debuting its new Trail Control, an off-road speed control much like Toyota’s Crawl Control. It works basically like a low-speed cruise control so the driver can concentrate on steering rather than throttle and braking. The system also modulates the throttle and brakes to each wheel individually, allowing the truck to basically claw its way over rocks or through deep sand. The Ranger comes with Dana’s AdvanTEK axles. The front axles are half-shafts for the independent control arms, while the rear gets a solid axle. FX2 and FX4 trucks can be optioned with an electronic locking rear differential, too. Ford hasn’t released fuel economy numbers for the 2019 Ranger, but we’re betting the EPA will estimate around 20 mpg city and 30 mpg on the highway. Ford is also saying the Ranger will have class-leading towing capability, meaning it has to surpass the Chevy Colorado turbodiesel’s 7,700-pound rating. Automakers are stuffing their latest vehicles with innovative active safety equipment and Ford is no different. Every 2019 Ranger comes standard with Automatic Emergency Braking, while the XLT and Lariat trims come standard with Lane Keeping Assist, Lane Departure Warning, a Reverse Sensing System, and Blind Spot Information System with trailer coverage. That last feature is class-exclusive to the Ranger and is a direct trickle-down from the F-Series. 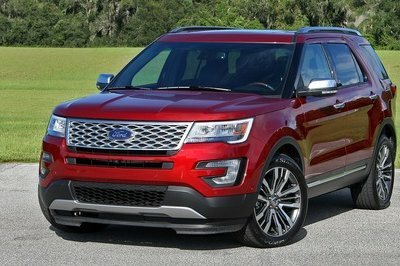 For those spending the extra cash on the Lariat trim, they get Pedestrian Detection and Adaptive Cruise Control. Full LED headlights and taillights are optional, as well. Pricing information has yet to be released, but an incomplete version of the online configurator surfaced the web earlier than planned, revealing information about prices and trims. According to the leaked information, the range will begin with a regular cab model priced from $24,000. This version is only available in base XL trim. Next up is the SuperCab, which can be had in XL, XLT, and Lariat trims. These are priced from $24,300, $27,940, and $32,210, respectively. The four-door SuperCrew model is offered in similar trims, but at a higher price. The SuperCrew XL starts from $26,520, while the SuperCrew XLT retails from $30,115. Finally, the range-topping SuperCew Lariat comes in at $34,385. It worth noting that Ford said that the leaked configurator information is not accurate, as pricing has yet to be finalized. 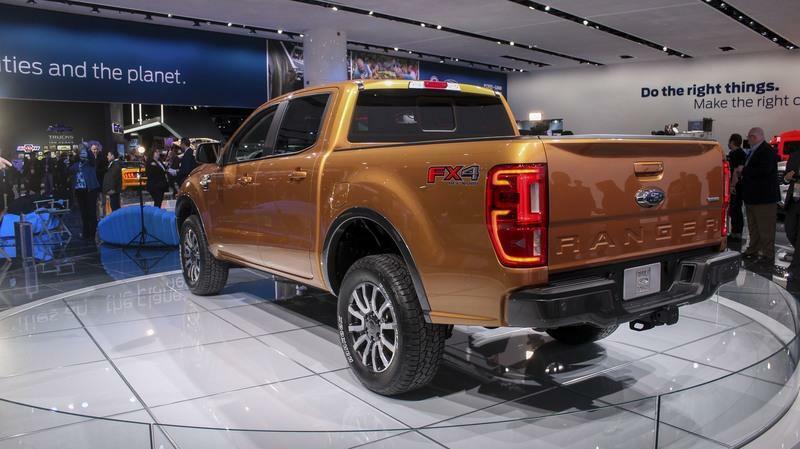 The company also stated that there won’t be a regular cab version of the Ranger. The full configurator will be launched in August 2018. Production of the Ranger will begin toward the end of 2018, so the first trucks will probably hit dealerships in early 2019. The Colorado burst onto the U.S. scene for the 2015 model year after years of being available overseas – much like the Ranger. Chevy “Americanized” the Colorado by making it stronger, plushier, and with all the necessary safety and emissions systems in place. Now three years in and the Colorado is hitting its full stride. It offers three engine options, several trim levels, and an impressive off-road version called the ZR2 that will rival the Ranger Raptor. The engines include a forgettable 2.5-liter gasoline four-cylinder mated to either a six-speed automatic or manual. The volume engine is the ever-present 3.6-liter V-6. New for 2017, the V-6 comes only with GM’s eight-speed automatic. Horsepower is rated at 308 horsepower and 275 pound-feet of torque. 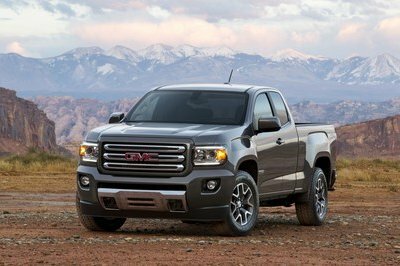 Those who love diesel will really appreciate the 2.8-liter Duramax four-cylinder that joined the Colorado lineup for 2017. The engine puts out 181 horsepower and an impressive 369 pound-feet of torque while offering a 7,700-pound tow rating and an EPA-estimated 22 mpg city and 30 mpg highway. Pricing for the 2018 Colorado starts at $21,195 and crests into the low $40,000 range. The Toyota Tacoma is the definite sales leader in the mid-size category. Its sporty nature, go-anywhere 4WD system and impressive TRD Pro package make it a solid choice, regardless of trim level. The Tacoma comes in the extended, or “Access Cab,” and the four-door Double Cab. A five- and six-foot cargo bed is available. Inside, the Tacoma offers a maximum of five seats in a relatively spacious cabin. Toyota’s Entune Infotainment system is found in the dash. Under the hood are two engine choices. The base mill is a 2.7-liter, naturally aspirated four-cylinder making a ho-hum 159 horsepower and 180 pound-feet of torque. Most will opt for the 3.5-liter V-6 and its 278 horses and 265 pound-feet of torque. Best of all, Toyota lets you choose between a six-speed automatic and a six-speed manual, regardless of engine. Some trims require the automatic, however. Sadly, Toyota doesn’t offer a diesel engine in the U.S.
Pricing for the 2018 Tacoma starts at $25,200 for a bare-bones SR grade with the four-cylinder and Access Cab. The rugged TRD Off-Road starts at $36,115 and the range-topping TRD Pro starts at $41,520. 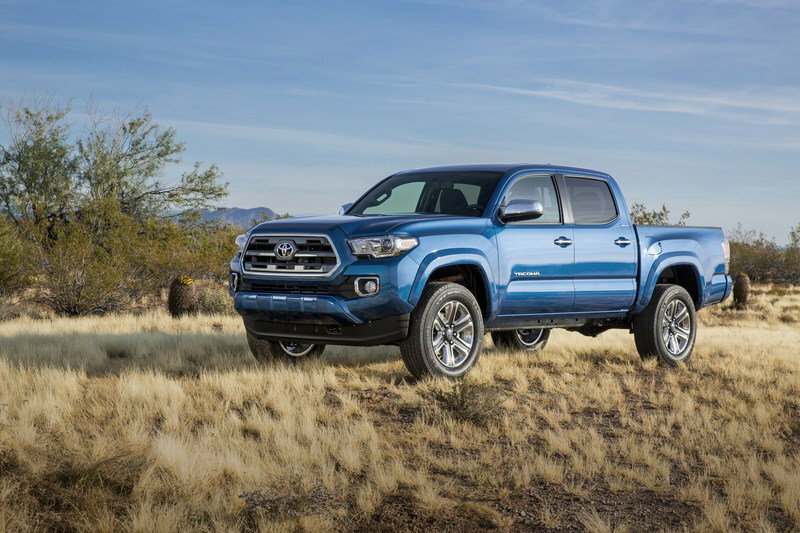 Read our full review on the 2018 Toyota Tacoma. It has been a while since Ford sold the Ranger on U.S. soil and we are certainly glad to see it return. It’s great knowing the Ranger is a proven truck that’s seen duty all over the world, yet is refreshed for its U.S. tour. The four-cylinder EcoBoost is the only concern, as most truck buyers want choices to pick from. 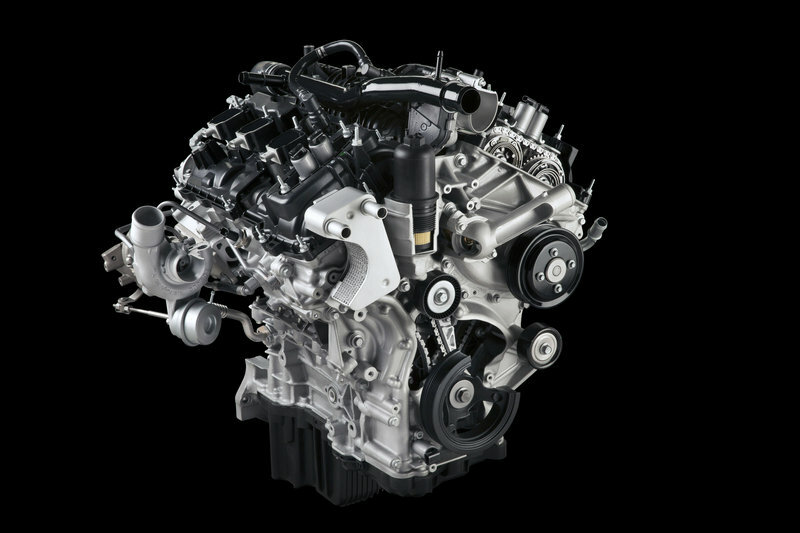 The 3.3-liter V-6 from the F-150 mated with a six-speed manual would make a fantastic pairing. It’s also interesting why Ford chose the 2.3-liter EcoBoost used in the Mustang rather than the 2.7-liter EcoBoost V-6 found in the F-150. The V-6 would be far more rugged. Perhaps it boils down to achieving a targeted fuel economy figure or the availability of either engine. Regardless of the details, the Ranger seems poised for U.S. duty. The hardest part will be waiting until 2019 for its arrival and then waiting even more for the hard-core Ranger Raptor. 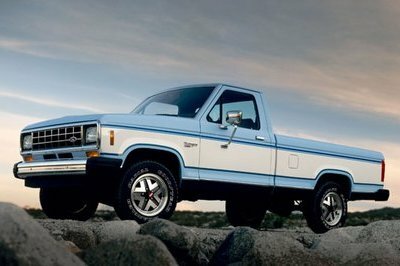 The Ford Ranger got its start in 1983 and quickly became the hottest selling compact pickup in the U.S., beating out trucks like the Chevrolet S-10 and later the Dodge Dakota. 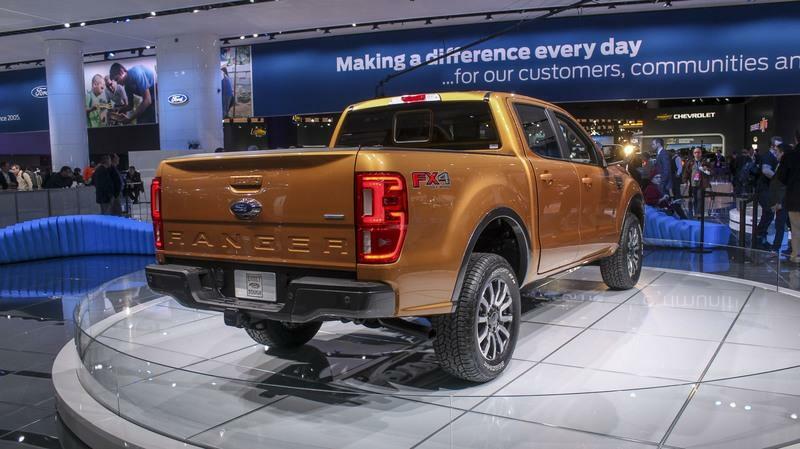 The first-generation Ranger’s design took cues from the then-current F-150 and scaled down the look. Engine offerings were woefully underpowered by today’s standards. The base 2.0-liter four-cylinder made only 72 horsepower. 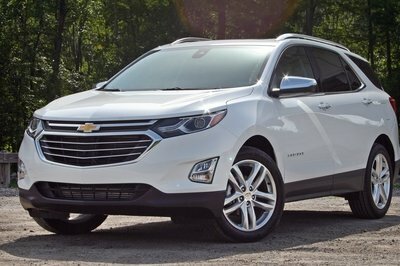 Optionally available was a 2.3-liter four with 82 horsepower and a 2.8-liter V-6 with 115 horsepower. Later models got a 2.9-liter V-6 with a more respectable 140 horsepower. The Ranger even came with a couple diesel options, though they were never overly popular. Transmission choices included a five-speed manual and four-speed automatic. The 1989 model year brought at welcomed refresh and an updated interior. The second-generation Ranger debuted for 1993 and brought a more rounded look, a much more comfortable interior, and new powertrain options. The 2.3-liter’s horsepower increase to 98 horsepower and then to 112. The V-6 was all-new, with a 3.0-liter displacement and 145 horsepower. A 4.0-liter V-6 was introduced in 1994, sporting 160 horsepower. The second-gen Ranger soldiered on nearly unchanged until a refresh in 1998. Again, an updated interior came, as did powertrain updated. The Ranger’s final update came in 2006. A new grille with a bolder design is the most dramatic change. 2012 was the last year for the Ranger – a loss many still lament today. It was the last of the truly compact pickup trucks.